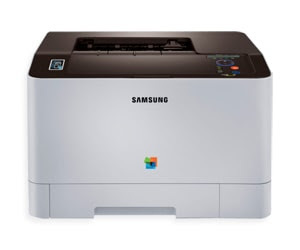 Samsung Xpress SL-C1810 Color Laser Printer series with the performance of compact color laser printer that produces high-quality improve print in a full range of colors using magenta / yellow / cyan and black. Superior quality printing in the printing world provide fast-high resolution printing of Up to 9,600 x 600 dpi effective output / Up to 600 x 600 x 4 bit, produce quality photos or documents clear text and sharp graphics. Fast, on-demand printing (CLP-41x series/C181x series) single-side printing A4 Up to 18 ppm / Up to 19 ppm (Letter).